Deploy the trolling motor and meet the sunrise with a fun-filled fishing contest. Fore and aft positions ensure everyone has enough casting room to ensure fair competition. 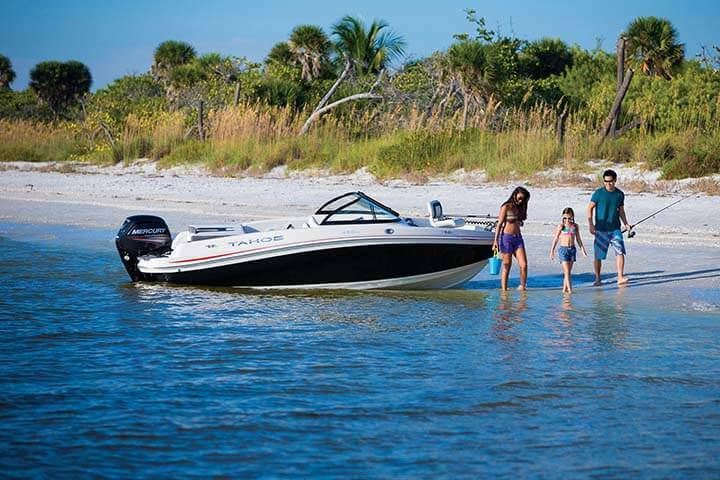 Take a high-speed cruise to a secluded cove in the middle of nowhere. Set your sights on the horizon, and get ready to play the day away onboard the TAHOE Q7i. 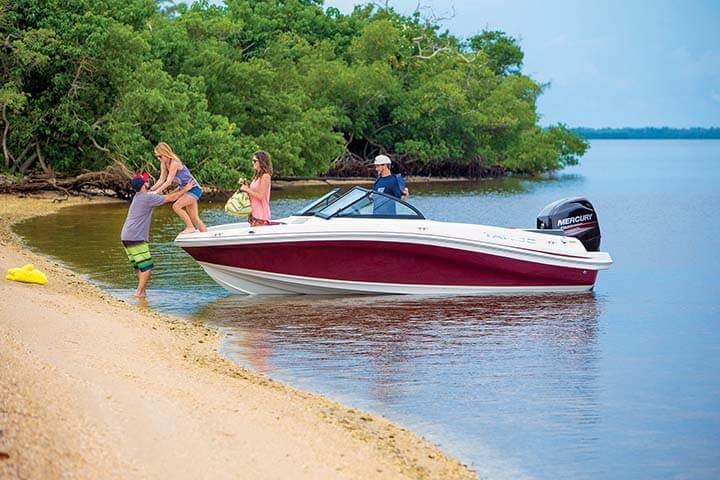 At 20′ 6″ long with a 96″ beam, it’s our largest sport runabout, and we’ve taken advantage of its size to provide families the ultimate escape vehicle. Take a quick cruise with your closest friends. Choose the optional ski pylon or wakeboard tower, and fine-tune your watersports skills. Lay back and soak up some rays on the sunpad as you drift miles away from anywhere. Or just beach her on a random island, and explore more time with your close companions. 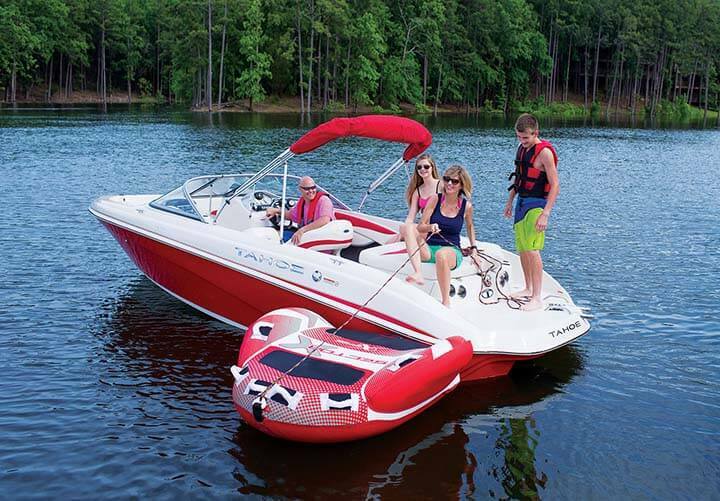 At 19′ 10″ long, the 500 TS is a midsize family sport boat with huge capabilities. 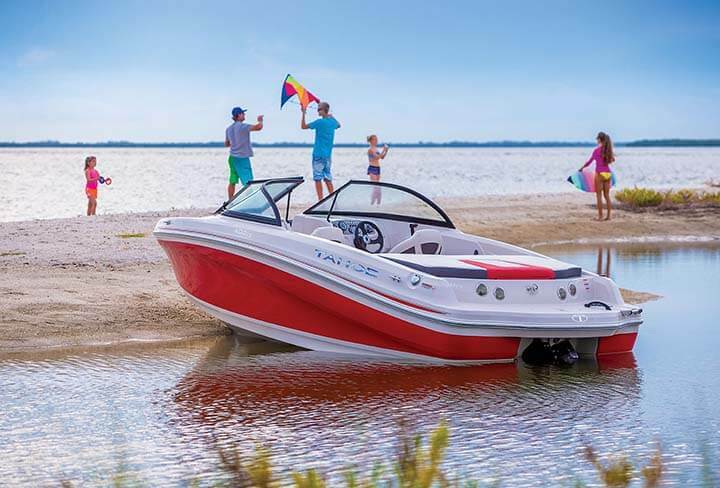 Thanks to its spirited MerCruiser® sterndrive motor and innovative POWERGLIDE® II hull design, this boat is ready to pop up on plane and whisk your crew away to the personal paradise of your choosing. Cast out your concerns, and reel in a whopper bass. 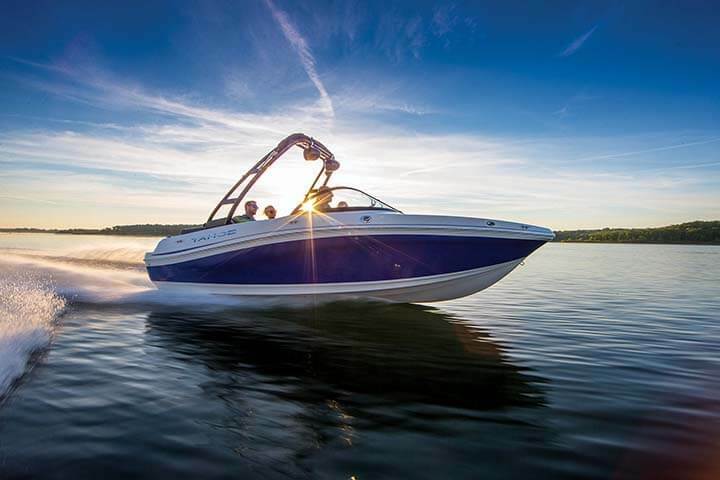 Crank up the throttle and leave your worries in your wake. Tie on a line and tube til the sun goes down. 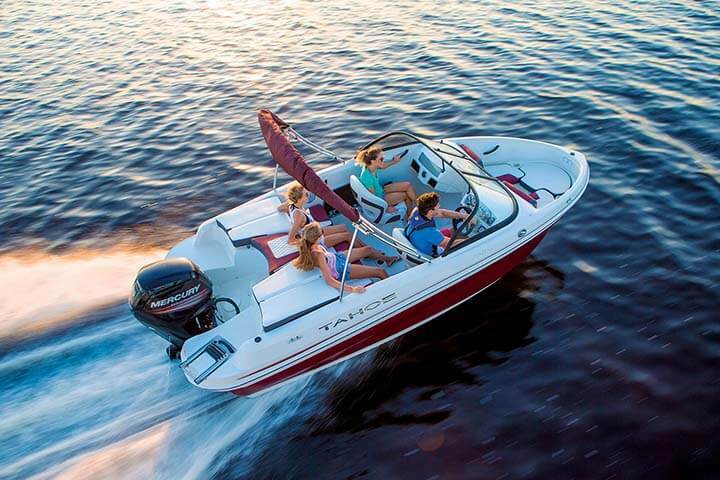 However you and your family like to play, the TAHOE 500 TF is ready to go. 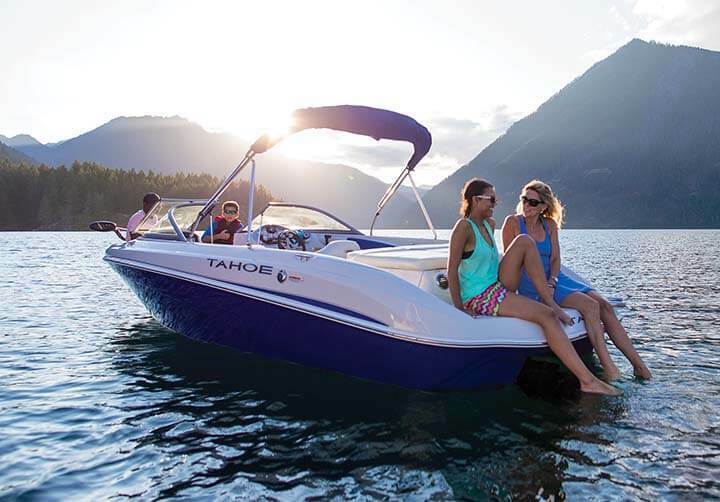 For one, she’s loaded to the gills with comfortable seating and spacious storage throughout, as well as fun features like a stereo, ladder and more. 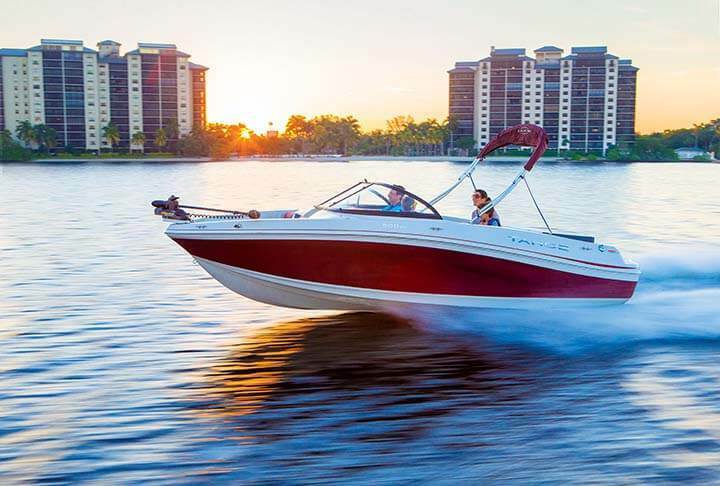 Secondly, she combines our exclusive POWERGLIDE® II hull design and a powerful Mercury® outboard for exceptional handling and performance. Now that’s how you do a Saturday—or any day, for that matter—right. The TAHOE 450 TF wears many hats. For one, she’s a fishing boat, complete with features like a trolling motor, removable casting chairs and an aerated livewell. Inside, her lounge seating and deep cockpit also ensure she’s a capable, comfortable family fun boat. So, don’t let her 18′ 5″ length fool you. 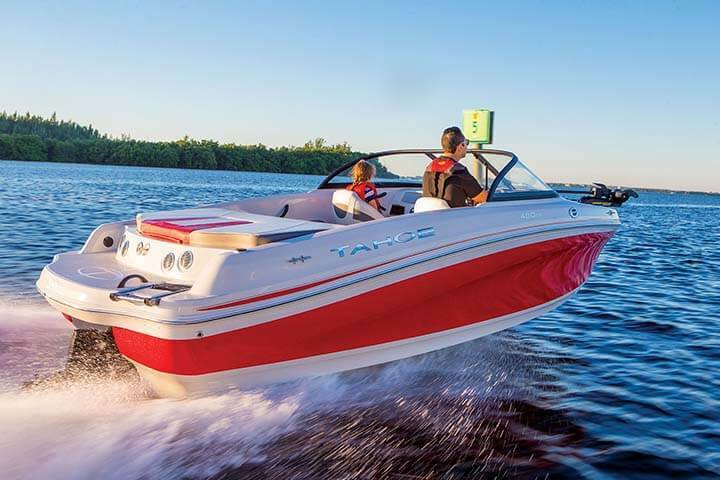 That, combined with the POWERGLIDE® II hull design and MerCruiser® engine, just translates into an easy-to-handle boat that’ll hug the turns and go with gusto. 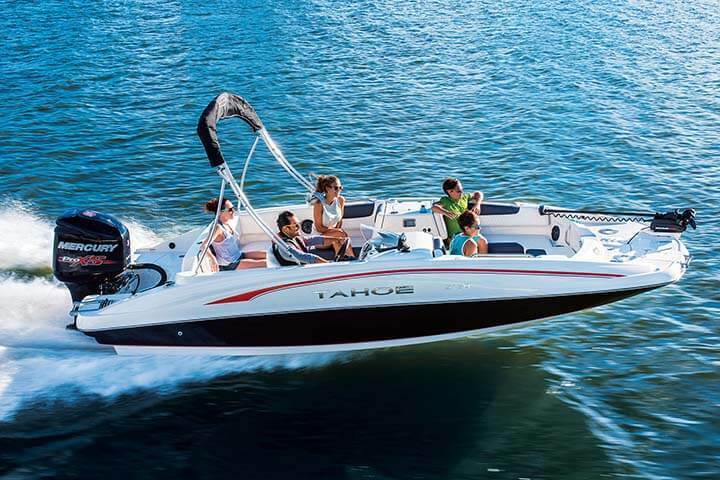 And she still comes complete with luxurious seating throughout, plentiful storage below the seats, in the sides and in the floor, a stereo, non-skid swim platform and more. Here’s to the good times! Teach your kids the proper way to tie on a lure and light a passion in them for fishing. Throw out a tube for a quick run around the lake. Enjoy some quiet time relaxing in a secluded cove. Or just cruise into the sunset.